The area of the Designation is different, with inverted geological and climatic characteristics. The connecting link is the middle basin of the river Segre, between the Pyrenees and the Ebro, and the dry climate of the interior, away from the influence of the sea and marked by an elevated insolation, a scant rainfall and persistent fogs of winter moisture. The vineyards are located between 200 and 1100 m of altitude. The soil is calcareous sand covered, with a great uniformity in all the denomination. The subzones of Artesa and Pallars are the northernmost, with vines of greater altitude and Pyrenean influence. Raimat, to the far East, has a mild relief and continental climate. The subzone of the Segrià, Lleida plane, is characteristic of non-irrigated land. The Garrigues and the Riucorb valleys are arid lands. Made up of the following municipalities: Alfarràs, Almenar, Gimenells and Pla de la Font the addition of Sucs, the municipality of Lleida. The municipal term of Alcarràs, 9022, 9017, 9005 plots of the cadastral polygon No. 6 and no. 3 plots, 57, 9001, 9003, 9004, 9007, the cadastral polygon num.15 9027. The municipal term of Almacelles, plot no. 25, 180, 193, 196 and 280 of the cadastral polygon num.5. From Torrefarrera, plots 6,7,8 and 9005 from polygon 11 and plot number 9006 from polygon 12. From the municipality of Lleida, the population unit named Raïmat and the municipal district of Almacelles, plots 162 and 181 of polygon 1 and plot 143 of polygon 2. Algerri, Alós de Balaguer, Artesa de Segre, Balaguer, Castelló de Farfanya, Foradada, Menàrguens, Montclar located in the municipal term of Agramunt. The municipal term of Cubells, plot num.90 of the cadastral polygon num.7. Plots 399, 400, 401 and 402 of polygon 5. The municipality of Os de Balaguer, plot no. 1 and 22 of the polygon (No. 5). Penelles and Preixens. The municipality of Ivars d'Urgell, plot no. 2 the cadastral polygon num.7, plot no. 75 of the cadastral polygon No. 3, plot no. 25 of the cadastral polygon No. 4 and the pitch No. 93 of the cadastral polygon No. 13. 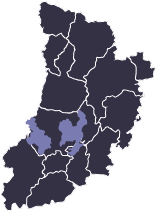 The old aggregates of the following municipalities: term of Castell de Mur, Cellers and Guardia de Tremp aggregates; the term of Gavet de la Conca and aggregates of Sant Cristòfol de la Vall, Sant Martí de Barcedana and Sant Miquel de la Vall; the term of Isona and Conca Dellà, aggregates of Conques, Figuerola of Orcau, Orcau - Basturs and Sant Romà Abella; From the term of Llimiana, the polygons 1, 2, 3, 4, 5 and 6; the term of Talarn, the polyhons 3, 4, 5 and 6; and the districts of Tremp called Gurb, Palau de Noguera, Puigcercós, Suterranya, Vilamitjana and the former municipality of Tremp. The municipal term of Sort, plots them no. 201, 202, 203, 220, 223, 225, 325 and 330 of the polygon No. 3, and the plots No. 273 and 276 of the polygon No. 2. In the municipality of la Pobla de Segur, plots, 24, 25, 26, 29, 42, 43, 45, 46, 49, 50 and 65 of the cadastral polygon 4 and the municipality of Salàs de Pallars, 294 and 430 of the polygon 3 plots. L'ametlla, Belianes, Ciutadilla, Granyanella, Granyena de Segarra, Guimerà, Malda, Montoliu de Segarra, Montornès de Segarra, Nalec, els Omells de na Gaia, Preixana, Sant Martí de Riucorb, Tàrrega, Vallbona de les Monges, Vallfogona de Riucorb and Verdu. Vilagrassa municipality, the pitch No. 92 of the cadastral polygon No. 4. Albi, Arbeca, Bellaguarda, Cervià de les Garrigas, Espluga Calba, Fulleda, la Floresta, la Pobla de Cérvoles, Els Omellons, Tarrés, Vinaixa and el Vilosell. The municipal term of Juneda, the pitch num.487 of cadastral polygon No. 5, plot no. 14, 15, 16, 33.34 and 37 of the cadastral polygon num.12, and plots No. 3,4 and 5 of the cadastral polygon No. 13. The municipal term of the Borges Blanques, nums.30 and 96 of the cadastral polygon No. 9 plots, plots them no. 114, 165 and 167 of the cadastral polygon No. 21, and the plots No. 21, and plots them 118, 119 and 120 of the cadastral 22. The municipal term of Albagés, plot no. 182, 183, 184, 186, 187, 188, 189, 190, 191, 192 and 193 of the polygon No. 4. The municipal term of Juncosa, plot no. 57, 66, 499 and 9002 polygon number 2. The municipality of Llardecans, polygon 1 parcel 27 and 97 plots and 222 of the polygon 3. The arrival of the phylloxera in Catalonia was in the year 1879, although in the province of Lleida did not arrive until 1895 (in 1893 began to find evidence of the insect). In the year 1893 phylloxera affects the departure of la Seu de Urgell, but it was in 1895 that Agramunt, Balaguer, Castell del Remei and progressively throughout the Western Territory all the vineyard was being affecte. In 1986 high parts of the Segarra were already victims of phylloxera. In Conca de Tremp arrived in June 1900 and had a quick and devastating effects. In 1901 had already spread considerably. After phylloxera, vine cultivation decreased much. 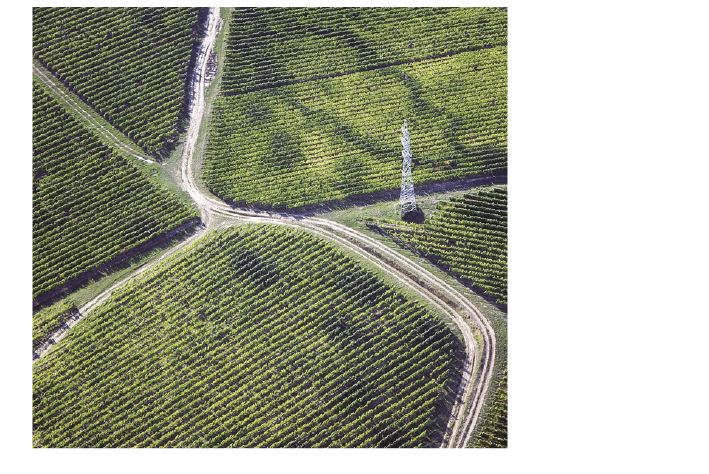 In this way, in 1909 the area planted with American vines (resistant to phylloxera) achieved in the province of Lleida 15.161 hectares, of which 13.343 were replanting land affected by phylloxera and 1,818 were lands which were not previously dedicated to the vineyard. The 102.920 hectares not reconstituted, were devoted mainly to the cultivation of olive trees. In the West zone, destroyed by phylloxera varieties were: Pinot, Samsó, Sumoll and Grenache. The varieties grafted on American strains were: Monastrell, Macabeo, Trepat, Grenache and Sumoll This was the moment when the French varieties, such as Cabernet Sauvignon were also imported. Graphs and statistics, downloadable in PDF. All cultural works comply with the physiological balance of the plant, they will be friendly to the environment and apply agricultural knowledge that tend to the obtaining of a grape in optimal conditions for its winemaking. 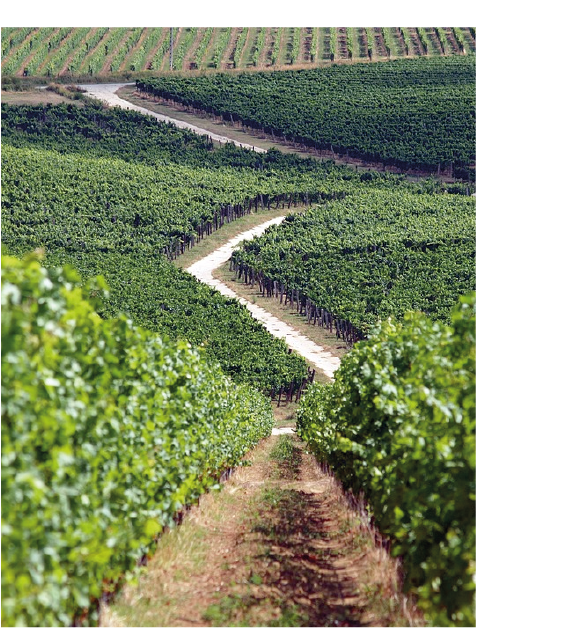 The maximum production admitted is 120 hectolitres of wine per hectare, both in white varieties and red varieties. The production of grape juice will follow traditional practices with modern technology aimed at the improvement of the quality of the wines. Apply pressure suitable for the extraction of the must or wine and its separation from the breeze, so that their performance is not exceeding 75 litres of must or wine per 100 Kg of grape harvest. In order to certify that the wines that belong to the D. O. Costers del Segre, are quality wines, the Control Board has a regulation of rating wines. Persons registered in the register of the D. O. Costers del Segre developers wishing to obtain the qualification and certification of the wine and in turn ensure the traceability of the wine-sector product, must submit an application for admission for each consignment of wine to the Control Board. The rating process involves verification of the conformity of the wines presented with the conditions of production and processing which are established in the regulations of the DO Costers del Segre, as well as overcoming regulatory analytical and organoleptic tests. For the execution of these examinations, 4 samples of each item are extracted, and the Control Board sets a tasting Committee to carry out the rating of the wines. The Committee reports on the quality of wines, both in the development phase and the marketing stage. Analytical tests are performed in the laboratories of l'Institut Català de la Vinya i el Vi. If the wine is not suitable to belong to the DO Costers del Segre, may be disqualified by the regulatory Council of the DO Costers del Segre. White: Grade acquired volumetric alcoholic minimum 10.5% vol. Rosé wine: Grade acquired volumetric alcoholic minimum 10.5% vol. Red wine: Grade acquired volumetric alcoholic minimum 11% vol. Quality sparkling wine: grade acquired volumetric alcoholic minimum 10.80% vol., maximum 12.80%. Wines rated by the D. O. Costers del Segre may be used as base for the preparation of quality sparkling wines. They are made according to the traditional method with second fermentation in the bottle with a duration of 9 months of aging, from the date of tirage until the disgorging. Liqueur wine: grade acquired volumetric alcoholic minimum 15% vol., maximum 22%. Semi-sparkling wine: grade acquired volumetric alcoholic minimum 10% vol., maximum 12.5%. In order to use the term “Crianza”, the aging process will be twenty-four months. For red wines this process will take a minimum stay in boot of oak for six months. For white and rosé wines, the duration of this process will not be less than eighteen months, with a minimum six months oak boot tenure. 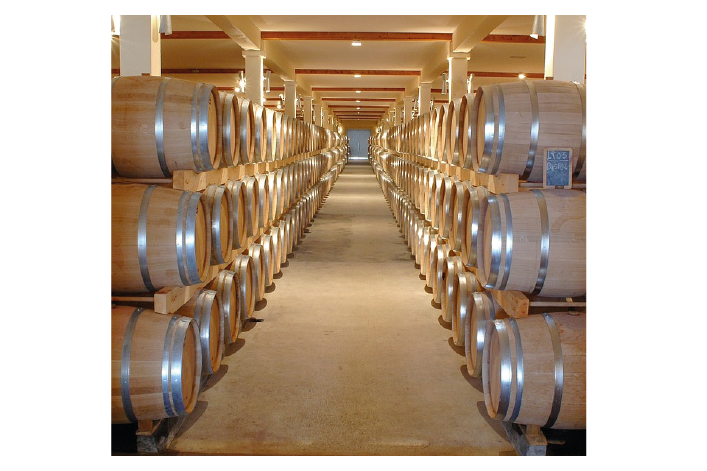 To be able to contain the term Reserve, the aging process will be as follows: for red wines the duration of this process will not be less than thirty-six months, with a minimum stay in boot of oak for twelve months and a bottle of twenty four months aging. The duration of this process is not less than twenty-four months, with a minimum stay in the boot six months oak and aged in bottle for 18 months at least, to white and rosé wines. For the use of the term Great Reserve, the aging process will be as follows: red wines will require a stay in oak wood of less than twenty-four months, boots and a bottle aging of less than thirty-six months. For white and rosé wines the duration of this process will be a minimum of forty-eight months, with aging in oak, a minimum of six months and an ageing in bottle of forty-two months.